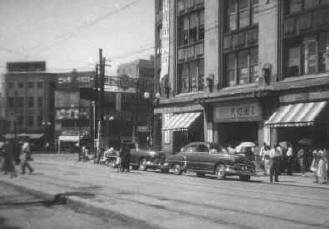 Downtown Sapporo in 1953. It was apparent that this city had not suffered the same bomb damage that many other cities had. This was my conclusion because the city still had many large buildings like those shown here.